"Skinning is a problem during malting, where barley grain is processed for brewing and distilling"
A University of Dundee scientist based at the James Hutton Institute has been awarded more than £600,000 to study an increasing problem with the cereal crop barley that impacts the commercially important malting process and the shelf-life of animal feed. Dr Sarah McKim was awarded a BBSRC research grant to investigate the unfavourable trait called ‘skinning’, and to develop tools to track it in breeding populations. Dr McKim said: “Skinning occurs when the barley grain husk does not completely adhere, or ‘stick’, to the barley grain. This is a problem during malting, where barley grain is processed for brewing and distilling, as skinned barley performs badly and cannot be used. Dr McKim and her colleague Dr Chiara Campoli will study the waxy surfaces called cuticles on barley grain and how these vary in lines that show different degrees of skinning. They aim to identify the genes responsible for altered wax production associated with skinning and how they vary in different cultivated barley varieties. The work will take place in collaboration with Professor Robbie Waugh, who is a co-investigator on the grant, and with other James Hutton Institute researchers. 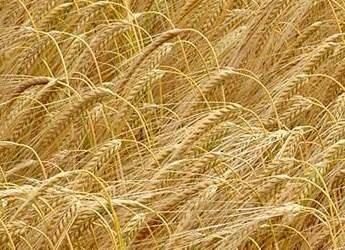 The project has full support from the International Barley Hub, an initiative seeking to create a unique, integrated, open platform for the translation of barley research into economic, social, environmental and commercial impacts for the breeding, farming, malting, brewing, feed, food, health and related industries. In addition to the scientific research, Dr McKim’s interdisciplinary project includes working with Dr Sarah Cook from Duncan of Jordanstone College of Art & Design. Dr Cook, who curates the programme at Dundee’s LifeSpace Science Art Research Gallery, will commission a visual artist to work with the researchers. They will use image data generated by the project to create works that explore the scales and surfaces of plant cuticles. For details on the James Hutton Institute's International Barley Hub initiative, visit the project page.